My sister gets full credit for this recipe. She didn't feel like making meatloaf one night, and decided to make meatballs instead. Wallah! (Her exact words). 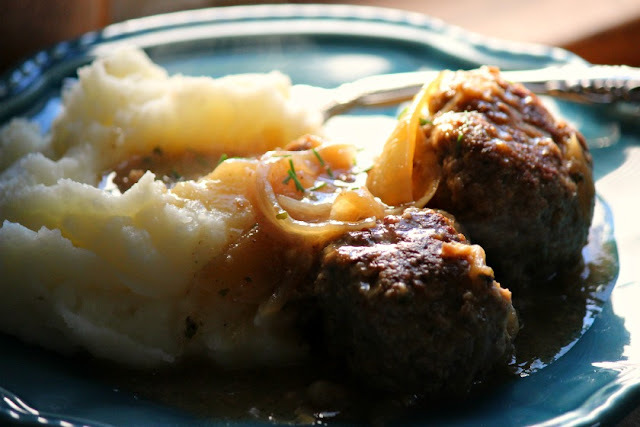 These meatballs are so tender and moist - that they DO melt in your mouth. Simmering in the flavorful onion gravy is the trick. 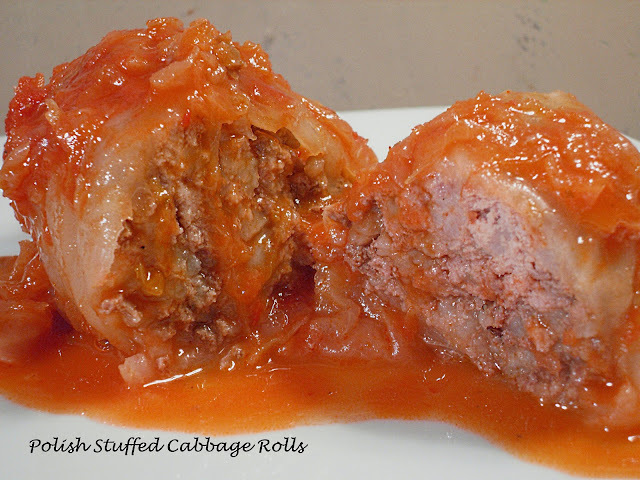 Serve with mashed potatoes or buttered noodles for a delicious Fall dinner. 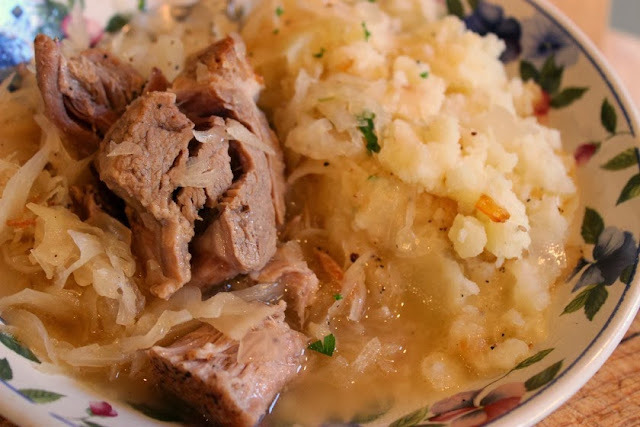 A Classic Comfort Food Favorite! In a large saute pan, heat butter and olive oil over medium heat. Combine ingredients for meatballs and mix by hand until combined. Form meatballs (about the size of a golf ball) and fry until golden brown on all sides, about 10 minutes. Remove meatballs from skillet. Add onions and garlic to drippings and saute until onions are translucent and beginning to brown, about 10 minutes. Add flour to onion mixture and stir to combine with onions. Cook until flour begins to brown slightly, about 2-3 minutes. Add beef broth and Gravy Master. Bring to a simmer until gravy begins to thicken. 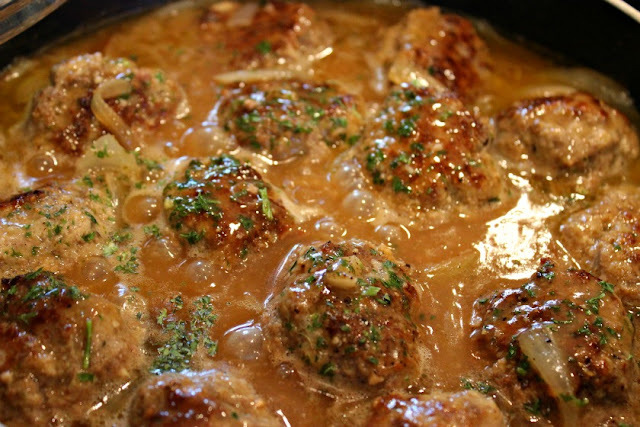 Add meatballs to the pan, cover and simmer on low 25-30 minutes. Add salt and pepper to taste. Garnish with fresh parsley. It's similar to Kitchen Bouquet.